This is Mini RC Quadcopter from Cheerson. Size: 40 x 40 x 22mm. Flight time: about 5-8 minutes. Battery for quadcopter: 3.7V 100mah. Battery for transmitter: 2 x AAA battery(not included). 1 x Cheerson CX-10 Mini RC Quadcopter. 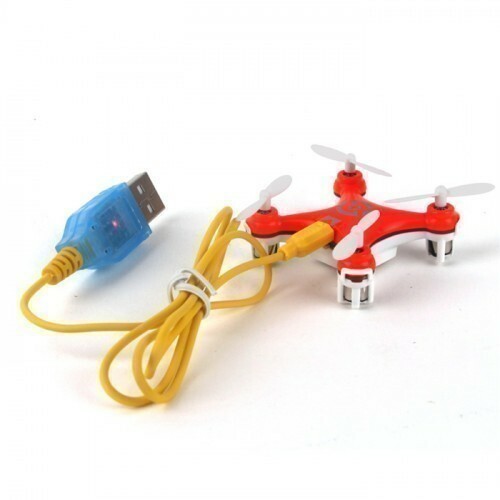 Also Searched as : mini rc quadcopter.